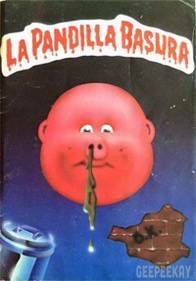 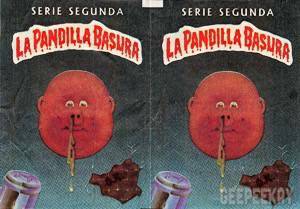 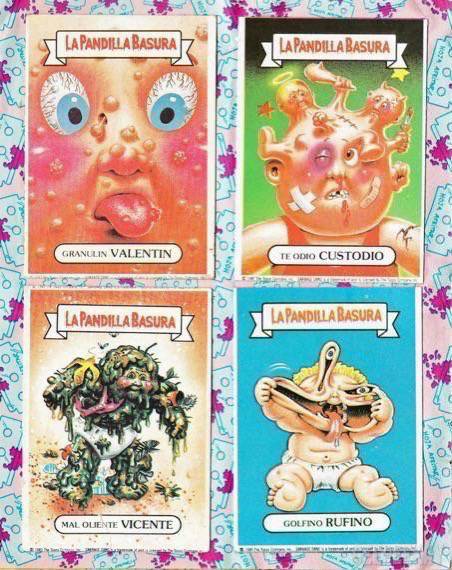 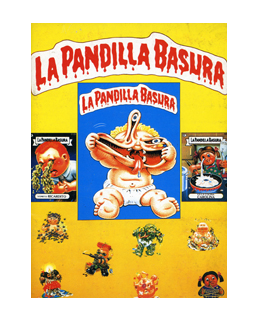 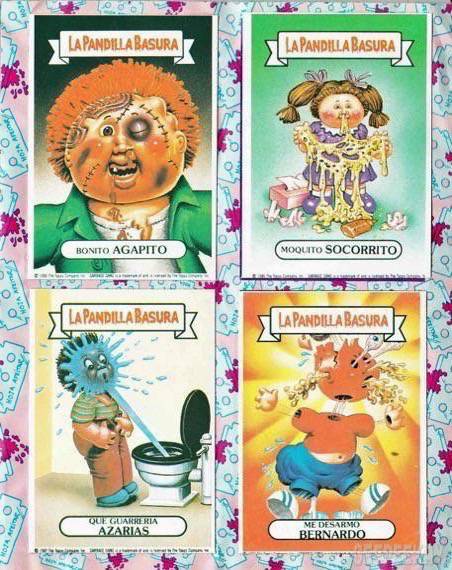 Spain released their own version of Garbage Pail Kids called La Pandilla Basura. 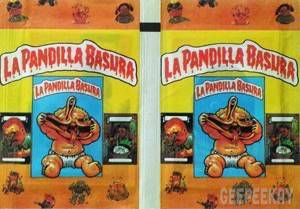 Roughly translated, 'La Pandilla Basura' means 'The Trash Gang' in English. 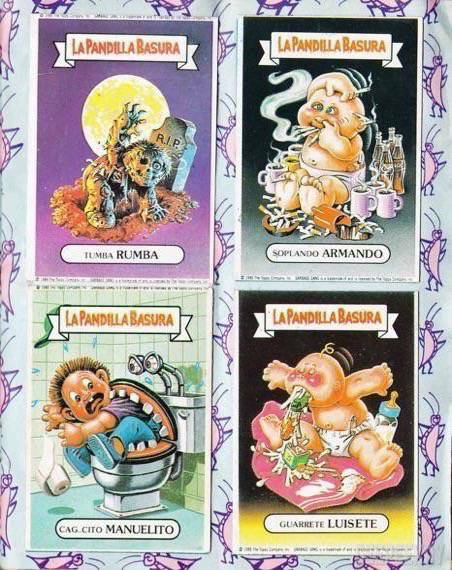 A number of different series were released in 1989, but unlike other countries, there has been no rebirth or new release in the 2000s. 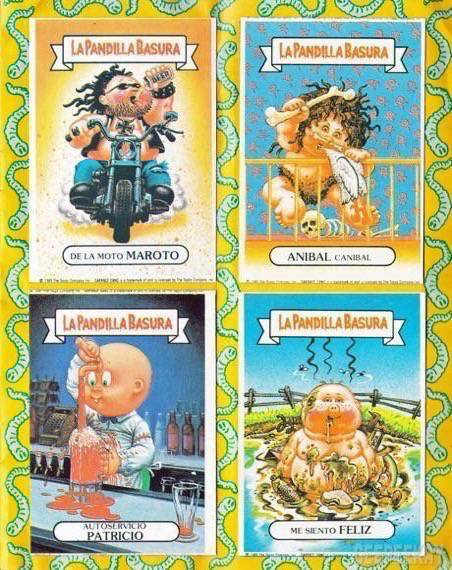 As is typical with the foreign releases of Garbage Pail Kids, Spain released a series of albums to accompany their sticker releases. 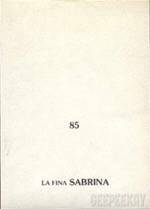 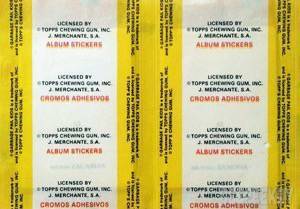 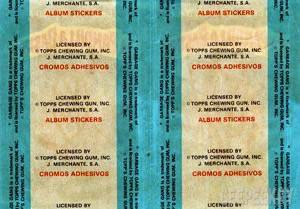 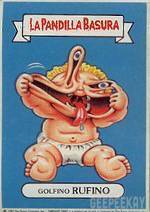 These albums feature numerous pages that are for the collector to peel and stick their Garbage Pail Kids stickers (or in this case glue the cards to the pages). 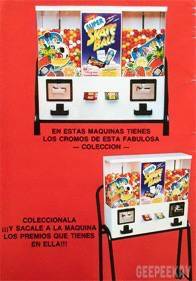 They also feature advertisements and information for other products. 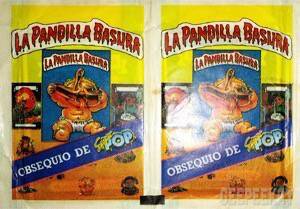 Below are pictures and information of most La Pandilla Basura releases, some of which are extremely rare and hard to find. 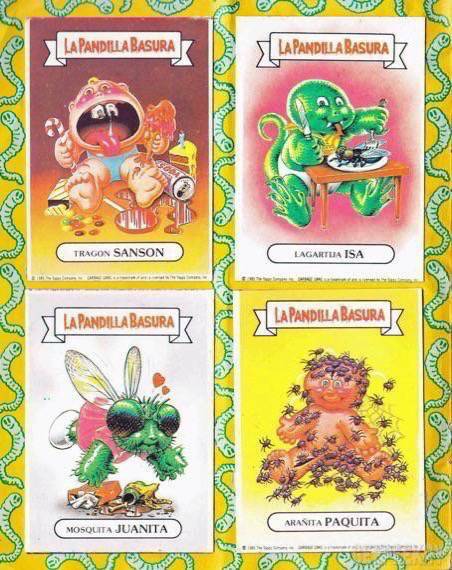 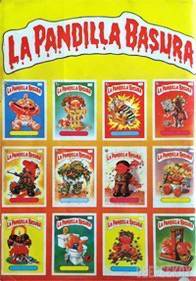 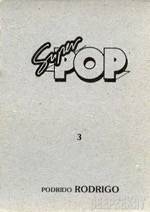 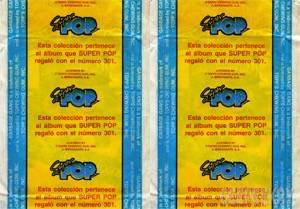 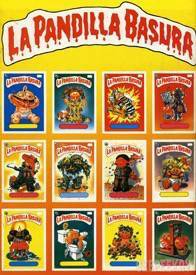 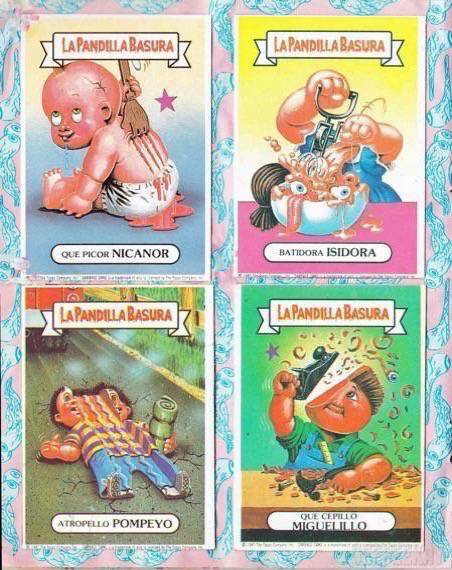 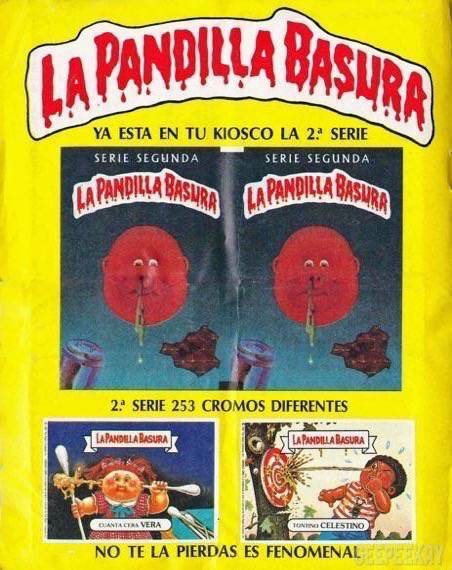 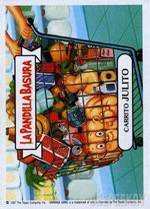 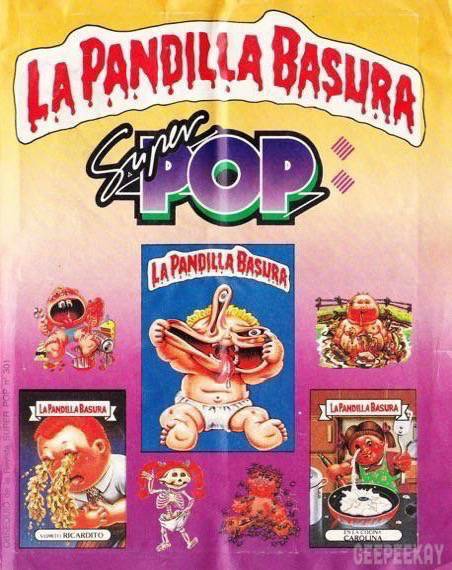 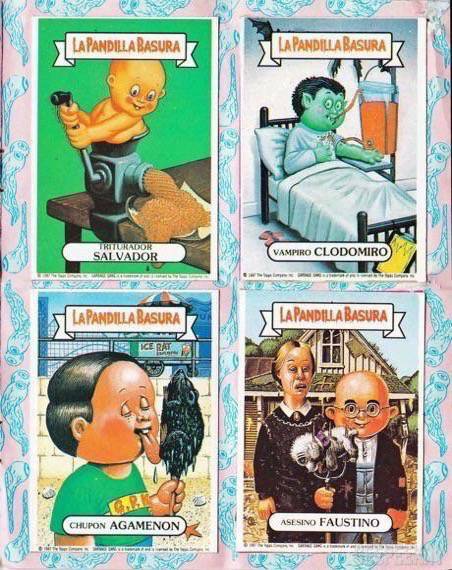 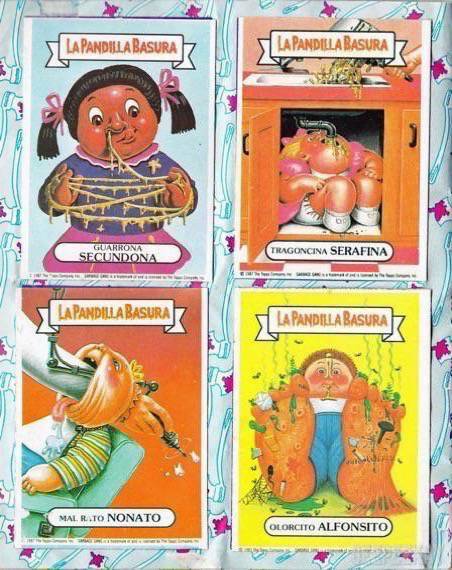 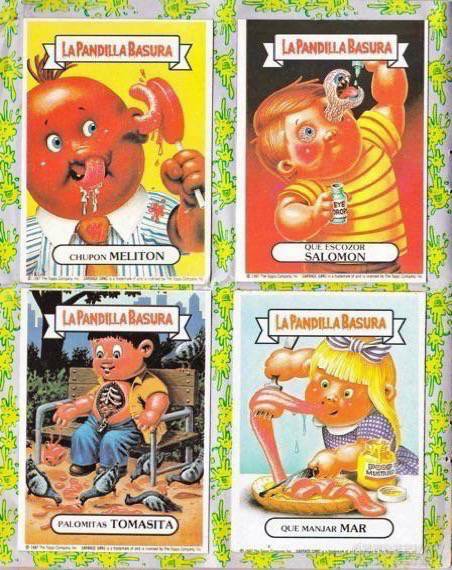 The main La Pandilla Basura releases were Series 1, Series 2, and the SuperPop cards. 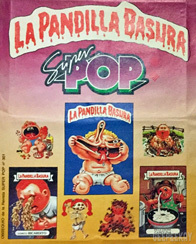 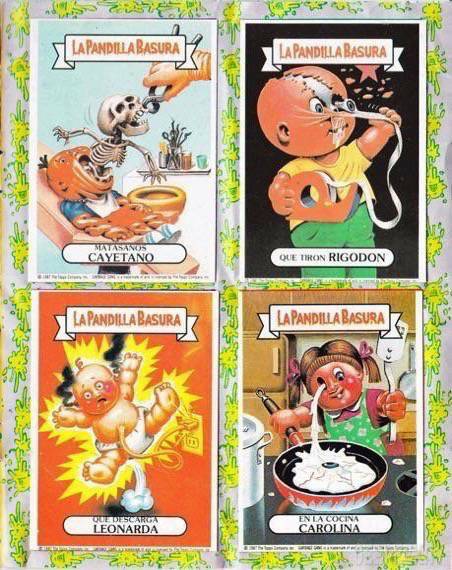 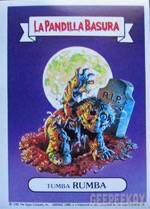 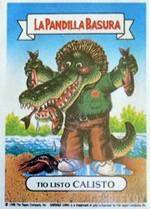 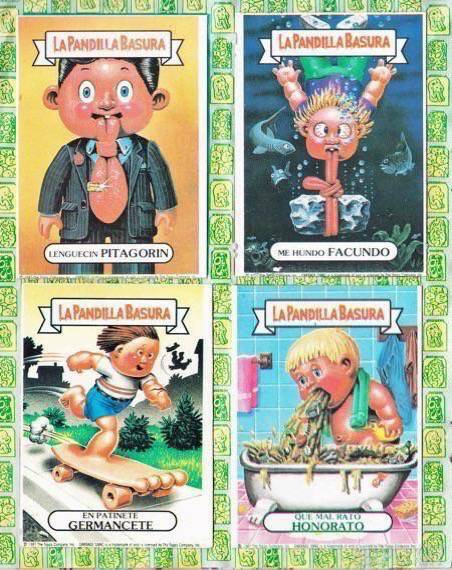 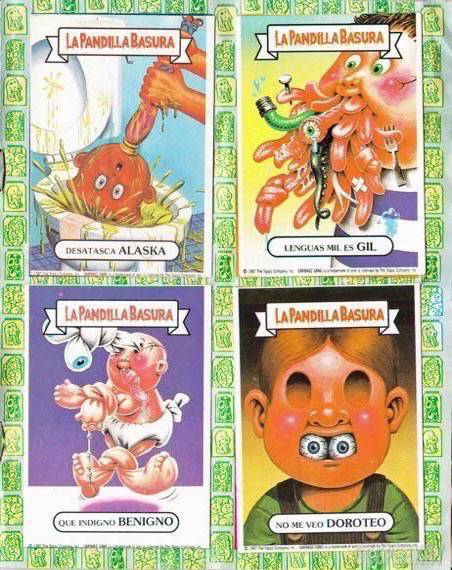 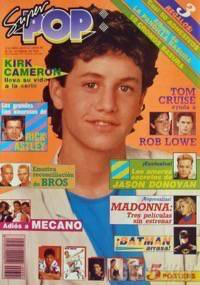 Below are examples of wrappers from the Spain Garbage Pail Kids releases. 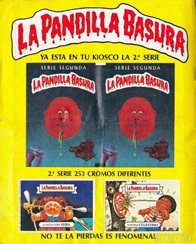 The packs in Spain were 'double-packs' as opposed to the standard packaging seen in every other country. 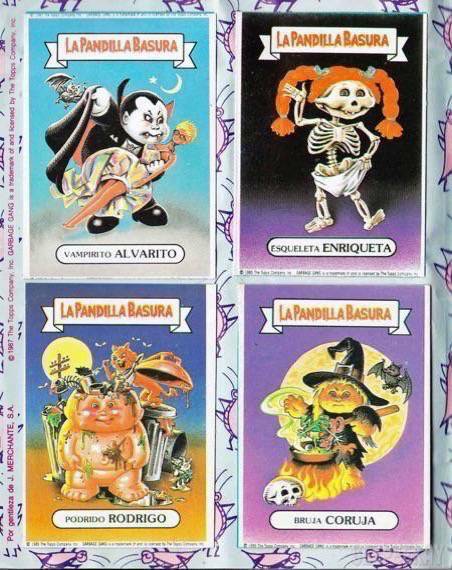 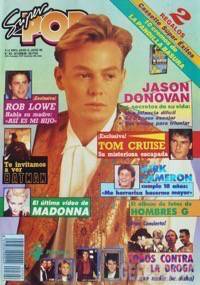 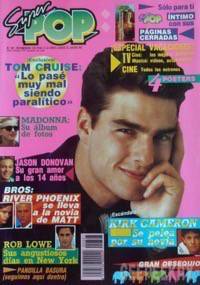 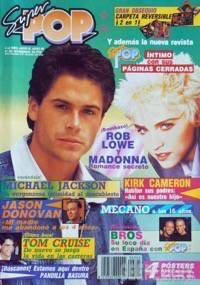 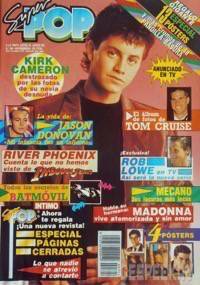 Spain released multiple different series back in the late 80s. 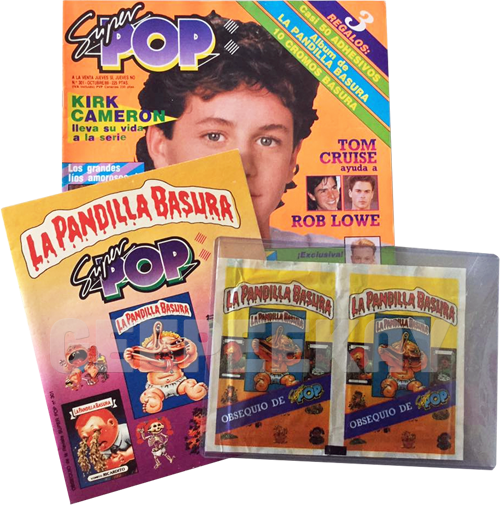 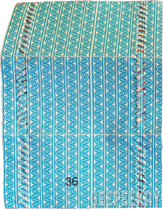 Below is a timeline that provides a glimpse at not only when a particular series was released, but also how many stickers were included as part of that release.